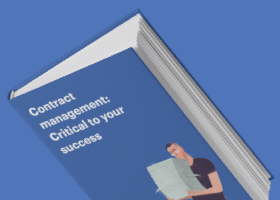 Contract management software is an important tool for businesses and enterprises interested in drafting, sharing, and securing contracts quickly and easily. The easier it is to draft and share a contract, the more you can focus on prioritizing the customer experience. Doing so makes it easier for the customer to sign a contract because the journey leading to an electronic signature is often indicative of how transparent and customer-minded the entire business is. The benefits of contract management software go beyond the needs of the office. It also helps to ensure enterprises are meeting customers where they’re at, meaning it puts the needs of the customer first before the needs of the enterprise. Contract management solution also helps businesses manage vendor relationships. Here, we’re going to break down why this is an absolute necessity for enterprises looking to improve the overall customer experience and buyer’s journey. Customers aren’t always going to be able to meet in the office to discuss contracts. Users aren’t always going to have a contract on-hand if they convert a lead. Being able to send sales contracts that are scalable for phones and tablets can help improve the overall experience by letting customers view the contract on their way to work or whenever they have downtime. This can help users who are looking to seal a deal quickly without losing momentum. The nice thing about contract management software is that it is secure and web-based. Like all cloud-based software, there are specific security standards that providers need to meet. As an enterprise, this should be factored into your purchasing decision. This also allows users to access dashboards away from the office, receive push notifications for specific contracts, due dates, tasks, search contacts, accept approvals, take notes, and so much more. As organizations expand, contract, and change over time, the need to implement various kinds of software to optimize their business strategies becomes more and more important. When purchasing contract management software with the intent on meeting customers where they’re at, it’s important to find software that seamlessly integrates with other software and is easily accessible for the customer or other contract parties. The healthcare industry (hospitals and doctor’s offices) is notorious for having a new system in place every time we walk in for an appointment, requiring us to fill out and sign all kinds of important documents. With the proper software, any documents already stored in the old system should transfer over to the new one with no issues. This sounds like it’s just a dream, but it’s not, and there’s no reason not to start looking for software that best fits your enterprise’s needs. To give a contract manager or user a personalized experience, they need to have the right management tools at their disposal. These tools have to fit their own personal needs as well based on their role in the contract management process. Otherwise, the user has to work twice as hard and take twice as long navigating software and working with a contract. When it comes to contract management software, being able to customize it to your liking is essential. Personalized dashboards allow users to see the information they feel is best for their reporting requirements. If they’ve been working with a small group of customers or vendors for a long time, those contacts should be front and center along with older drafts, current contracts, and any other essential information. More often than not, these dashboards are accessible to administrators as well. This means that everyone in the office can be on the same page with each other when it comes to viewing and tracking metrics, acquiring important contact information, and reviewing contracts. When everyone is on the same page, processes are streamlined and allows users to prioritize the experience even more. Contract management software also lets users send contracts through multiple channels in real time such as email or a contract portal, which, again, helps make sales process and every interaction more seamless. The easier it is for a user to offer a unique interaction to a customer or vendor, the more complete and accurate the contract data will be. People today are looking for personalized experiences from businesses of all sizes. However, this matters most with enterprises that have many customers and vendors to keep track of on a regular basis. One way around this is by offering different kinds of channels for users to choose from. 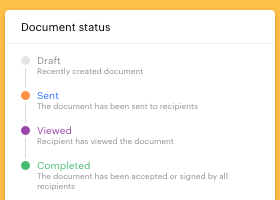 If a customer is always on the go and they need a copy of a contract for an important meeting, you can send that contract to their email so they can print it at a time that’s most convenient for them. This speeds up workflows within the office, leaves customers happy, and there are no major sacrifices on either party’s behalf. Every channel is secure because contract management software is typically hosted in the Cloud, which has its own set of regulations and protocols that providers have to follow. This way, everyone can feel safe about their personal information regardless of the channel it’s being sent on. Finally, when it comes to the business relationship between suppliers and vendors, the very nature of that relationship exists almost exclusively outside the office. In retail, for example, vendors make stops between multiple supermarkets and meet with multiple managers and teams to ensure the products they’re delivering and stocking the store with are the correct quantity and are delivered on time. Without even the most basic of contract management software, their job would be much more difficult and more room for mistakes would exist if vendors had to bring all kinds of clipboards on every trip. Vendors are already on their phones most of their work days, so it makes sense to improve the user experience by taking advantage of other channels already in use. Contract lifecycle management is all about the journey, starting from when a contract is requested to when it’s time for renewal. In between, you’re paying close attention to the authoring of the contract, legal review, the signing of the contract, when it goes into effect, how you’re storing it, and even how retrievable it is. Contract software aims to optimize every stage in the contract lifecycle to improve the overall experience. PandaDoc, for example, has an interactive dashboard for sales reps to monitor the number of completed documents, revenue generated, time to close, and more. Sales reps can also collaborate on certain complex contracts and documents to ensure everyone’s holding each other accountable and contracts are accessible at all times. This gives businesses one less thing to worry about because the creation and management of contracts are under control. This then allows reps to focus more on renewal when the time comes. This, again, plays an important role in optimizing contract lifecycle management. When agents don’t have to worry about the legality, storage, management, and creation of a contract, they can focus their attention on completing a sale. When their attention is on the more important thing that is establishing a personal connection with a lead, the entire process can speed up. Instead of waiting around for a potential contract to be formed, having a legal team look over it, and revising it wherever necessary before moving onto the next stage in the pipeline, leads and customers can move faster as if nothing is impeding the process. Agents can do this confidently knowing the software is going to have them covered. Contract management software is a no-brainer for enterprises because of its security, multichannel capabilities, and automation that help ensure information is organized properly. The easier it is for users to work with contracts, the easier it is for them to offer positive customer experiences. At the enterprise level, where customers, suppliers, and vendors can easily get lost or ignored, this is an absolute essential. It’s time to start looking for a provider that best fits your enterprise’s needs if you aren’t already. Reuben is the Founder and CEO of GetVoIP. He assists SMBs align business strategy with culture and improve overall corporate infrastructure.